Pete's Banjo, Launched July 11, 2015, now the flagship for New Jersey Friends of Clearwater's Environmental Sail Program. How we Built Pete's Banjo: Picture Book with narrative of two years Planning, Construction and Launch, PDF. 65 Pages, 120 pictures/drawings of all phases. 20Meg download. Free. The Navesink River used to be a major oyster supplier and garveys of this type were used for working the oyster beds. 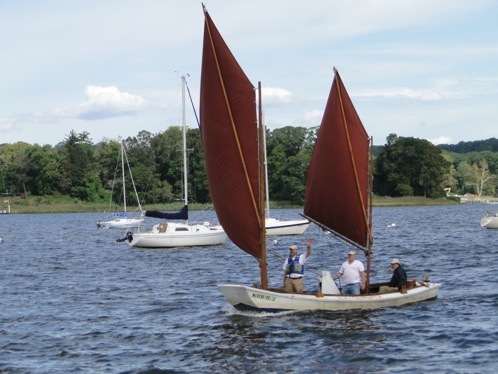 While at the moment there is no active oystering, Monmouth County Friends of Clearwater operates a replica oyster garvey that is used for public sails and exhibition. 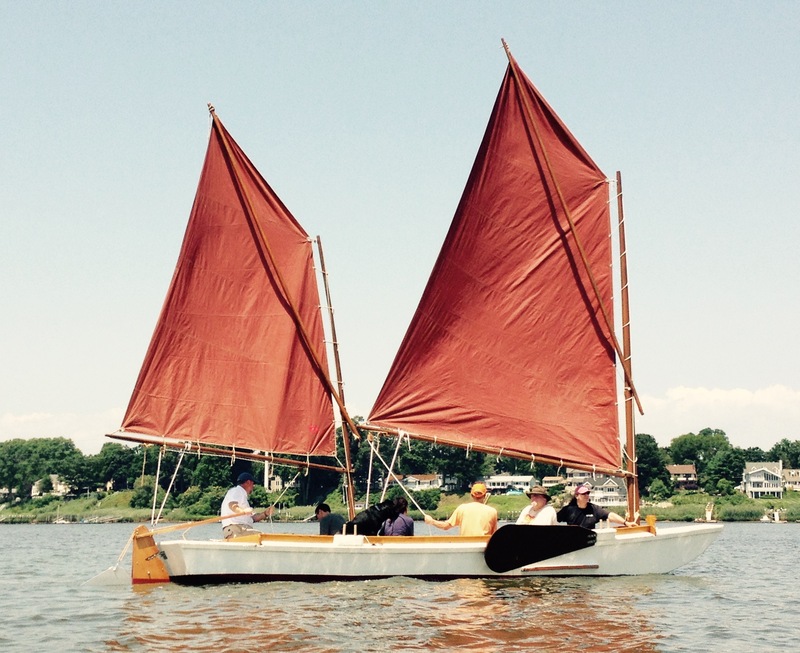 In the summer the garvey public sails are the easiest way to enjoy the Navesink. The Adam Hyler is a regular visitor at the NMHA Rendezvous. The crewbook is updated to reflect changes in Pete's Banjo. Spring Fitout, When and Where.Volunteers welcome. For further information visit Monmouth County Friends of Clearwater.